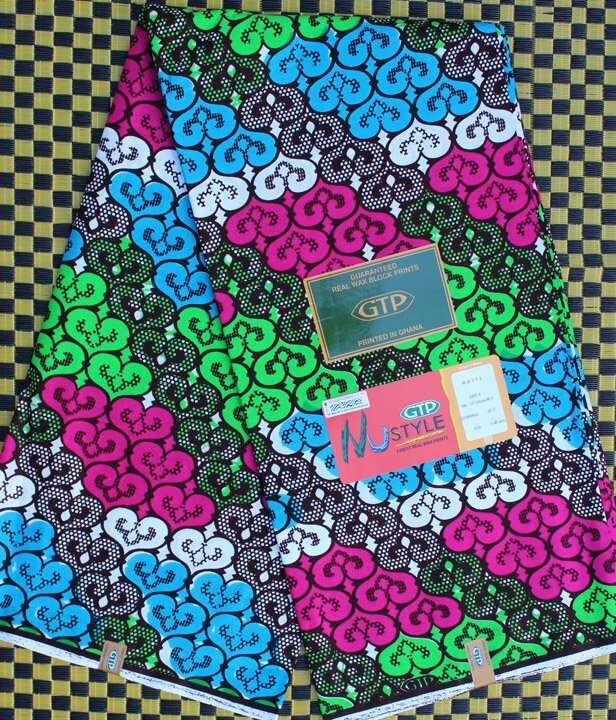 GTP is an African leader in printed fabric in Ghana, celebrating their 50th anniversary in 2016. Nustyle designs are vibrant and for the young and young at heart. All cotton, 47" wide and great quality! This multicolored pattern shaped like hearts is perfect for clothing, home decorating, and crafts.